Well hello there. I am so happy it is a beautiful day out today because if it had been gloomy I think I may have had to hold my eyes open all day. I have been extremely tired this week and (wahh wahh) I think it’s because my body is readapting to normalcy versus being a lazy bum like I was all last week. I should be back in the swing of things by next week. There has been a high need for the coffee this week. 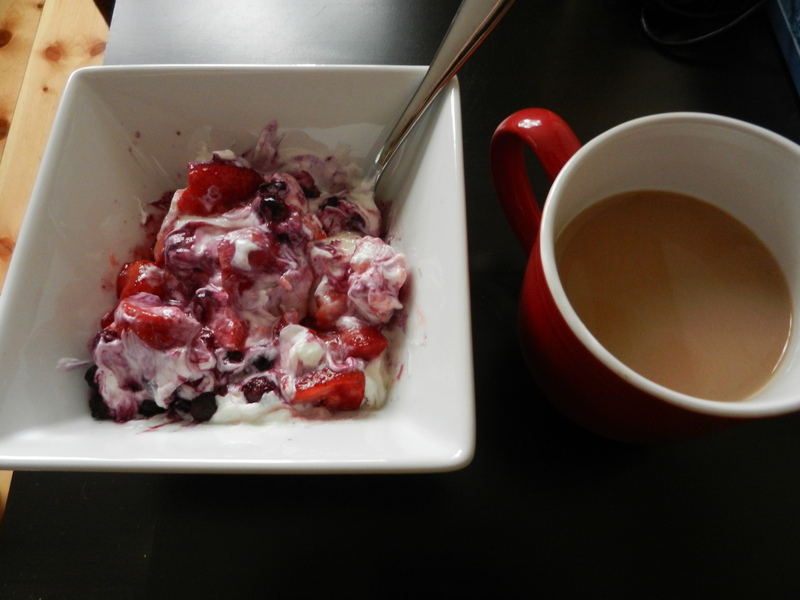 Breakfast yesterday was a Melanie staple: Greek yogurt, blueberries, strawberries, and honey. I had a dentist appointment yesterday morning so I omitted the chia seeds because they have a tendency to get stuck in the teeth. Dinner was a comfort to me. 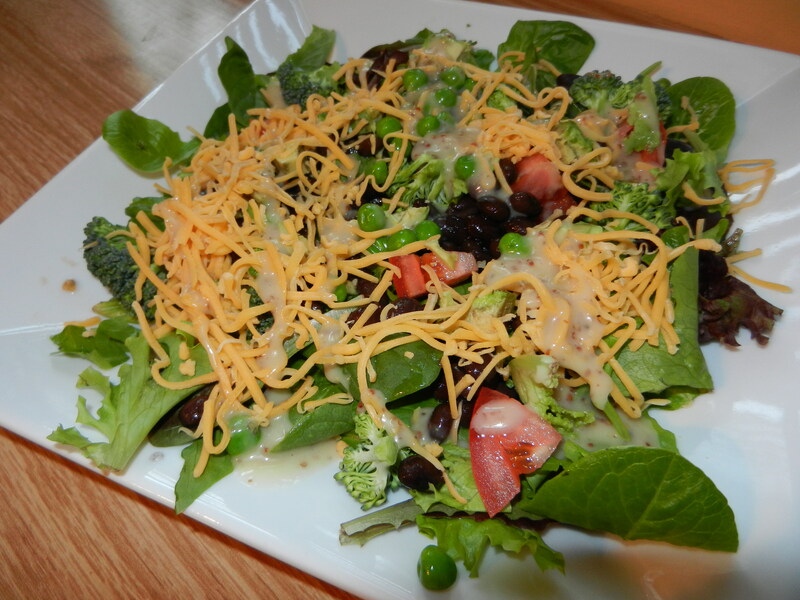 You have seen this salad before but in the mix is mixed greens, black beans, tomato, avocado, peas, broccoli, cheddar cheese, and my very favorite honey mustard dressing. It was a hit in my belly. I worked late last night so after dinner it was already almost 8:00. I made a few phone calls then made my way to the couch to hang out with this handsome fellow and watch Modern Family.It was a hilarious episode as always. Mitch and Cam had Lily on a child leash at Disneyland and it was extra funny to me because I witnessed someone at Disneyland with a leashed child last time I was there. It is hilarious to me. I love that show. After Modern Family we watched a recorded episode of Anthony Bourdain’s No Reservations, Croatia. 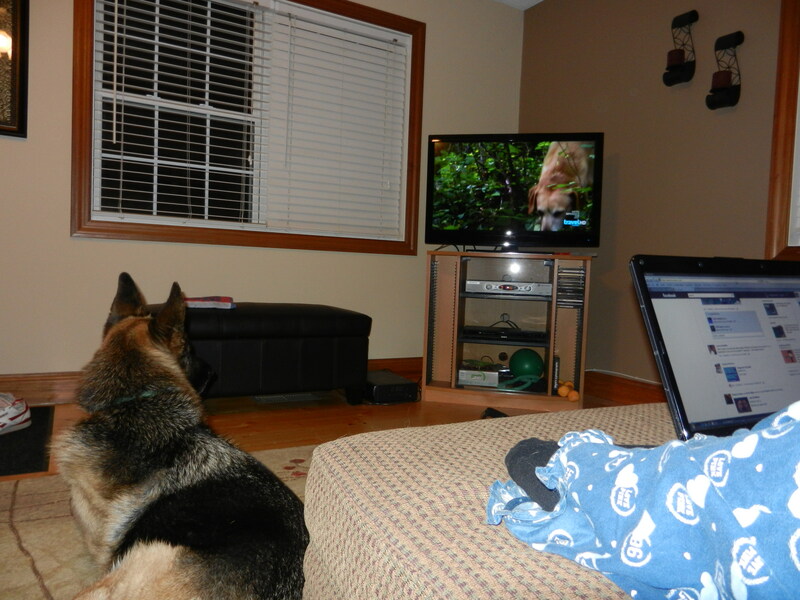 Moose really enjoyed it because the episode involved a dog sniffing out truffles. Any time he hears dog noises on the TV his head perks up and he becomes enthralled by the show. Clearly he was captured by this one. I wish we could teach Moose to sniff out truffles in the ground. Are you taking notes, doggy? 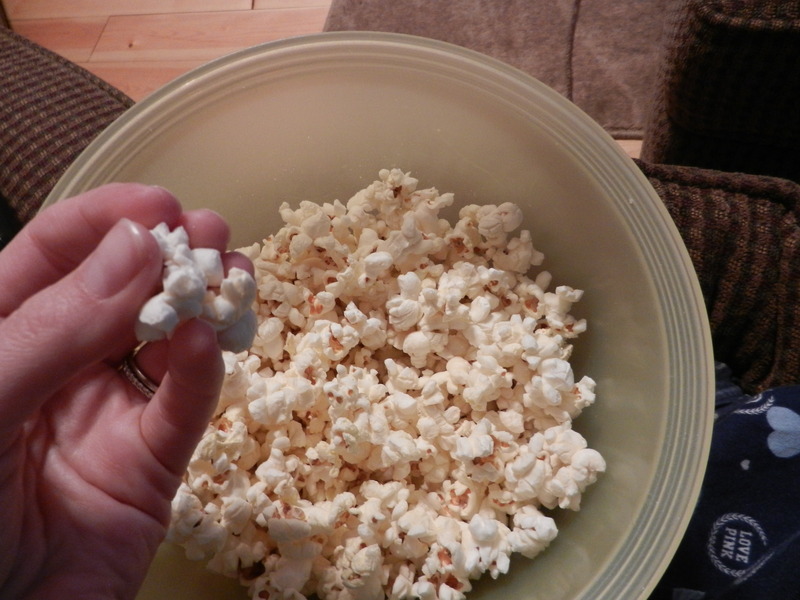 I finished the night off with freshly popped popcorn. And that was my thrilling night. 😉 Can you stand the excitement? I am happy it’s Thursday because that means tomorrow is Friday. I am hoping to get a run in after work today as I neglected to get up early this morning for a run. 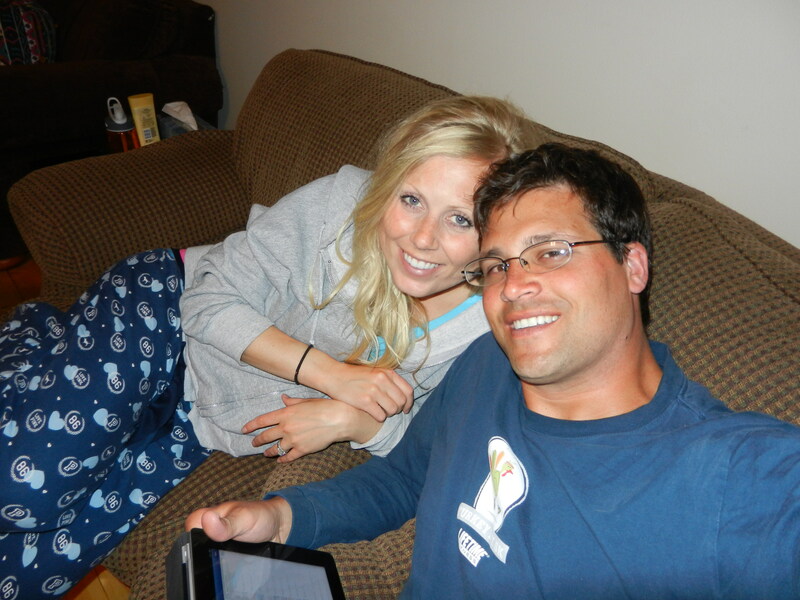 This entry was posted in Breakfast, Dinners, Home Life, Moose and tagged Coffee, FAGE, Salads, Snacks, Veggies by Melanie. Bookmark the permalink.